Rib City® Gift Cards are the perfect gift for any occasion! 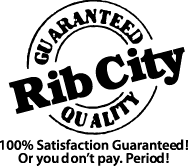 Check your RIB CITY® Card balance @ www.valuteccardsolutions.com. Click on Card Balance in the upper right corner.